Drag the "Image" button here. Then click on it and upload your banner. 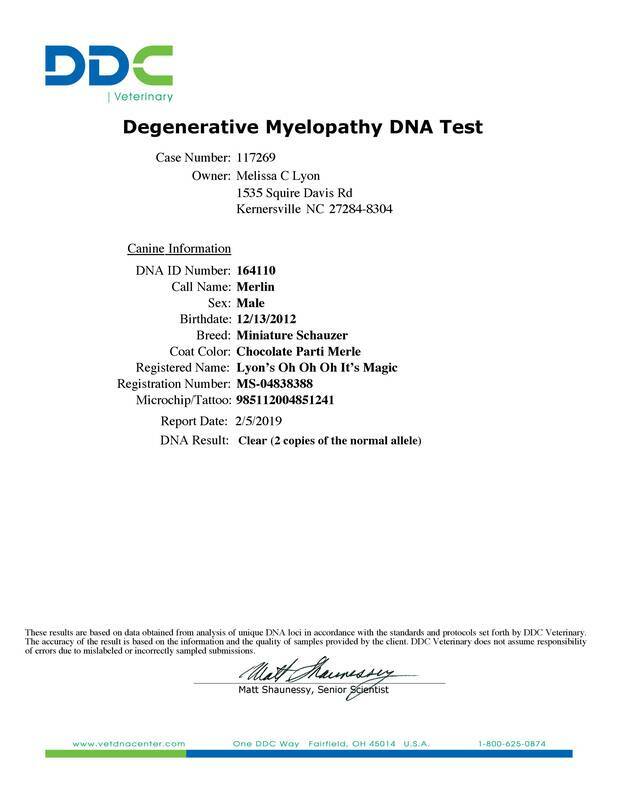 Click on the test to see the results. This table highlights in yellow the breedings that will NOT produce DM-affected pups due to the presence of the SOD1 mutation, which is the major risk factor associated with the disease. 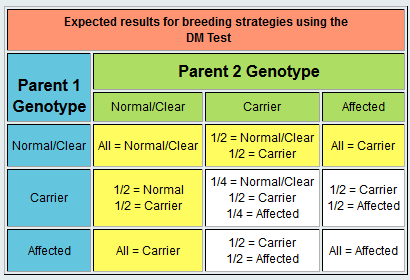 These breedings include at least one parent proven "Normal/Clear" by the DM test. All other combinations are at risk of producing DM-affected pups.